Honda does not play around with their Power of Dreams slogan. With the new Civic Type R prototype already being tested, there is no difference. Only it isn't a dream, not anymore - market release date for this powerful automotive is set for July 2018. Its debut in Geneva during May 2017, has left the crowds amazed. Torque is 400Nm from 2,500rpm to 4,500rpm. 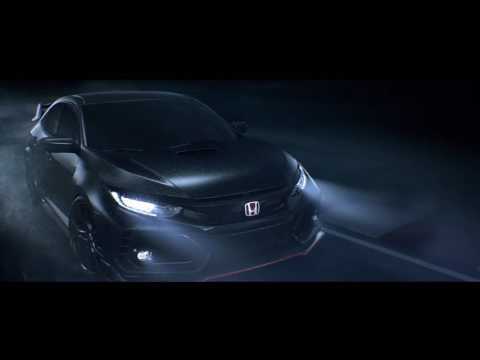 The Civic will boast with a six-speed manual gearbox, with a rev-matching function along with a high performance Brembo brake package, to assist the driver in managing the powerful car. The new Honda Civic Type R is 165mm longer, 36mm lower and 2mm wider than the previous-generation model. The low and wide proportions underpin the distinctive design and classic hot hatch styling cues. We can go on and on about all the awesome functions and buttons and speeds of this exceptional car, but why not check out the video below for a sneak peak. And we urge you to come test drive this vehicle at Pupkewitz Honda as soon as it comes in next year!